Jonathan Frakes isn’t just the former first officer of the Enterprise or the master behind one of the most important tactical maneuvers in Starfleet history. He’s also a longtime director of the franchise, with contributions spanning both the TV shows and the movies—and after decades away, he’s finally making a return behind the Star Trek cameras. 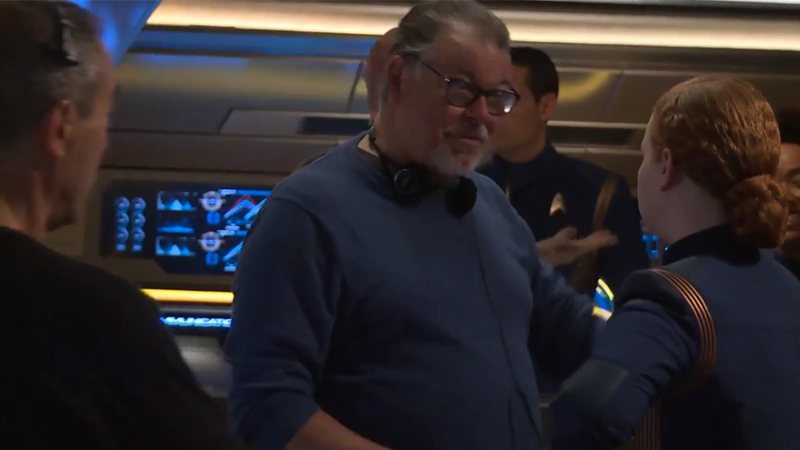 Frakes’ contributions to Trek beyond his seven seasons and four movies as William Riker include directing eight episodes of The Next Generation, three each of Deep Space Nine and Voyager, and then the movies First Contact and Insurrection. More recently, he’s also become the first Trek actor to have directed episodes of Discovery and The Orville. It’s cool to see him back behind the camera for Star Trek after so many years away though. Star Trek: Discovery returns for six more episodes on CBS All Access on January 7.